Each image is made into a decal, securely adhered to the white plate and fired in a kiln three times. This procedure ensures every photo plate is food safe and dishwasher safe. The design will not fade or discolour like many other personalised plates on the market. 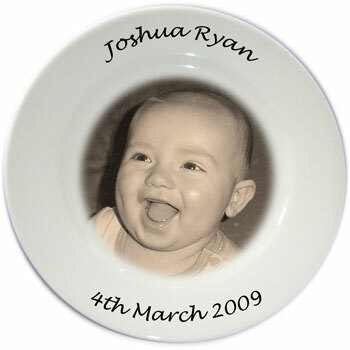 These photo plates are also available in black and white photo and colour photo.